Your company’s marketing efforts are up against some stiff competition. Way back in 2014, the research firm Yankelovich estimated that “the average American is exposed to 5,000 advertisements a day” (imagine how much that number has grown since then!). As a result, consumers have become increasingly impervious to ads, banners, pop-ups and other attempts to draw their attention to any particular product or service. What’s the solution to overcoming this blizzard of images and ads that fewer people pay attention to? For many businesses, the answer lies in influencer marketing. In case the term is unfamiliar, it’s pretty much what it sounds like, that is, “the action of promoting and selling products or services through people (influencers) who have the capacity to have an effect on the character of a brand.” And in our era of social media, influencer marketing has largely shifted from relying on superstar athletes and Hollywood celebrities to aligning with individuals with massive followings on Twitter, Facebook, Instagram, etc. Be selective about the influencers you pursue. Obviously, an influencer should possess a following whose tastes and needs correspond to your offerings. 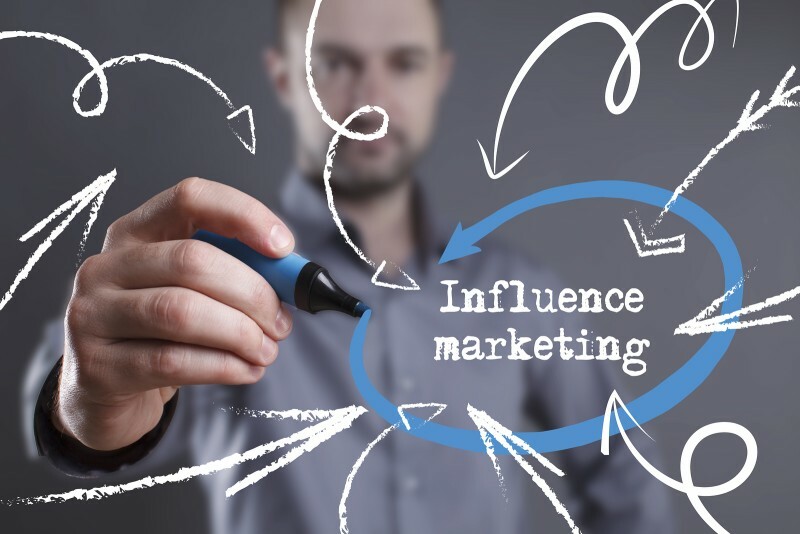 Research influencers before asking them to endorse or otherwise promote your products or services, in order to ensure that you’re connecting with likely prospective customers. Knowing what you want to achieve will affect the ways in which you approach influencer marketing. Reach out to influencers in an authentic, respectful manner. In many ways, key influencers need businesses like your own as much as you might need them. But they will also be selective about whom they associate with. So don’t rush in like a bull in a china shop. Cultivate a relationship based on an approach of authenticity and respect. Incorporate influencer marketing in a broader strategic plan. It’s exciting to successfully associate with a prominent social media figure and to begin amassing a whole new set of followers. In the long run, however, influencer marketing is more effective as part of a larger strategy that also draws upon more traditional marketing activities. This way, you can refine your various campaigns so as to reap the most benefits from a wide range of strategies.